The Chromecast is probably the most popular video streaming device of all time. Even though it’s a small piece of hardware, it allows you to connect your TV to practically anything else in the house with a processor in it and that includes your Android phone. In most cases, it’s easier to use a Chromecast than it is finding a way to hook your devices up to your TV individually and its cheap price point makes it almost universally accessible. If you have a Chromecast, you’ll want to check out the best Chromecast apps for Android. You should already have the Google Home app installed as it acts like a control center and content discovery platform for your Chromecast. We linked it up here in the intro paragraph so we didn’t have to below. Looking for some other info? We got lots of info about the Chromecast. BubbleUPnP is an application that allows you to float your media literally all over your house. It’s compatible with most current game systems, Roku, Chromecast, mobile devices, tablets, and more. That means you'll be able to cast your photos, TV shows, movies, and music to virtually any WiFi connected device in your home. It also comes with cloud support. That means you can cast things from your Google Drive and other platforms to your Chromecast. It's one of the must-have Chromecast apps. You can download it for free to check it out before forking out $4.69 for the pro version. Google Photos is probably the best cloud storage for photographs. The service uploads all of your photos for free as long as you don't mind a minor dip in quality. Of course, the app has Chromecast support as well. You can put your photos up on the screen. Additionally, you can create collections in Google Photos and use them as your background when you're not casting anything. I have personally done this with a small collection of 4k wallpapers so that my TV always looks crispy and gorgeous. The app is entirely free, again, as long as you don't mind a small dip in quality. You can pay for Google Drive space if you want to upload and backup the full resolution photos that you take. Hulu is one of the most popular Chromecast apps. It features current and modern TV shows along with a few movies. It's also a good spot for anime fans. 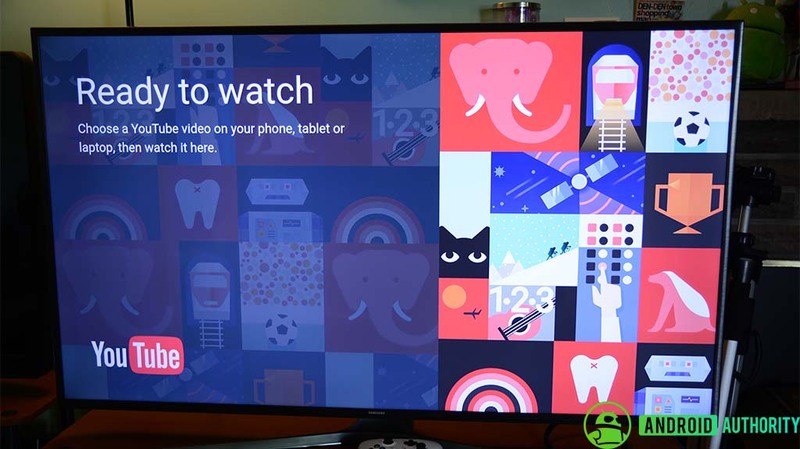 You can put shows on a watchlist and stream it to your TV via Chromecast. They also recently launched a TV service for $39.99 per month. It includes over 50 channels. The UI is a little clunky, but nothing too serious. The live TV subscription also includes regular Hulu content as well and that makes it a decent bargain. You could definitely do worse. The Chromecast support is excellent as well. iHeartRadio is a streaming service. It operates a lot like Pandora. There are stations that you can listen to that play certain types of music. There are also real radio stations that you can tap into. Of course, it also has Chromecast support. iHeartRadio is particularly great around the holidays as their holiday stations are second to none in most cases. It's completely free to use as long as you can tolerate some advertising. 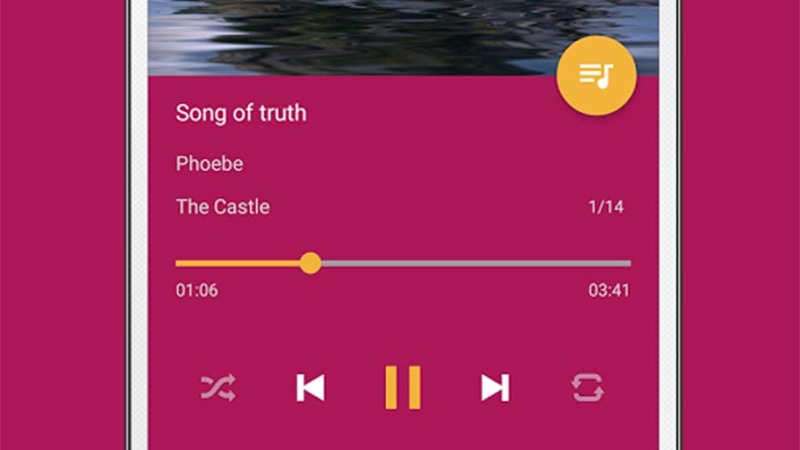 It's one of the better Chromecast apps for streaming random music. LocalCast is another great option for those who want to cast their locally stored media. It supports music, TV shows, movies, and images stored on your device. It works with Chromecast along with any other DLNA supported device. Like other options, it has cloud storage support so you can cast your cloud saved media as well. It can even cast PDF files if you need it to. It's ad supported, but you can donate an amount you choose to get the pro version. The rates are between $0.99 and $21.30. Take a break and check out some more awesome Android apps! 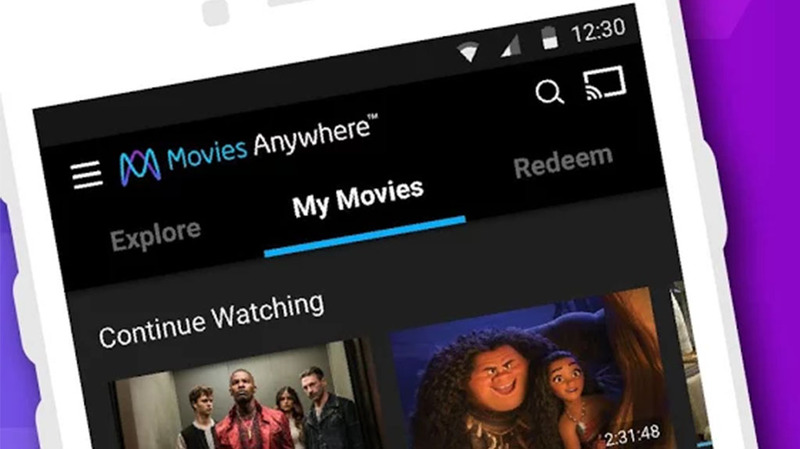 Movies Anywhere is one of the newer Chromecast apps. It's a movie aggregate service. It integrates with Google Play Movies, Amazon, iTunes, Vudu, and Disney Anywhere. The app has some bugs. However, it works pretty well for the most part. You buy a movie on any of the aforementioned services and they become available on this app. This is one of the few ways to cast Amazon content to a Chromecast. It also opens up the movie streaming industry a bit. You can shop the sales on any of the aforementioned services and watch it here. The app itself is free. Movies on the various services cost money, obviously. Netflix is definitely one of the must-have Chromecast apps. Everyone knows what Netflix is, what it has, and what it costs so there really isn’t much new information here. It has been continuously updated and improved over the years and the developers have done well with keeping with the latest design trends. Streaming is almost flawless as long as your connection holds out. Their selection is among the best and their original programming is considered on par with the best out there. It's worth a shot since you can usually get a free trial for signing up. Pandora Radio is one of the most popular Chromecast apps out there. People have been using it for years to discover new music, listen to random radio stations based on their tastes, and more. It's simple, it works well, and it's compatible with virtually everything. That includes the Chromecast. Pandora, along with iHeartRadio, are excellent apps to just toss on the TV and jam out for a while. You can pay $4.99 per month to get rid of advertisements. Alternatively, you'll soon be able to get Pandora Premium for $9.99 per month. That will allow for on-demand streaming of any song in their library. It's a heavy hitter and it's a must for Chromecast owners. Plex has consistently been one of the best Chromecast apps available. Plex streams video content from your computer to almost anywhere. The app lets you stream it from your computer to your phone and then directly to the Chromecast. It takes a bit of time to set up because you need a home server on your computer, but it works great once you do. You'll be able to use most of the features with the free version. However, you will need to fork out a small, one-time fee to use the Android app. You can also get Plex Pass for $3.99 per month. That adds more services and features on top of what you can already do. It's powerful and the best way to get video from your computer to your TV without a bunch of cables. Pocket Casts is probably the best out there for listening to podcasts. As it turns out, it also has Chromecast support. There are a ton of podcasts that you can subscribe to. It also supports video and audio podcasts. There are also some other features, including a dark theme, syncing support, playlists, auto-downloading, and more. There isn't a free version to try out. Thus, you'll need to buy it and test it out inside of the refund time. Otherwise, it's among the best CHromecast apps for podcast fans. You're almost at the end! Here are even more fun music and video apps for you! Solid Explorer is one of many file explorers out there. However, this one comes with Chromecast support. It's also pretty awesome. You'll get a Material Design interface, dual pane support, and all of the basic features you'd expect from a file manager. It even supports FTP, SFPT, WebDav, and SMB/CIFS protocols along with cloud storage support. You can pick up a 14-day free trial by downloading the app. After that, it's $1.99 to keep it for good. It's a great way to stream your locally stored content and cloud storage content. It's also great for file management. Obviously. Spotify took its sweet time getting on the train when it came to Chromecast support. However, it finally did and now it's one of the best Chromecast apps out there. The streaming service itself has over 30 million tracks along with various radio stations, video content, podcasts, and more. It's currently the reigning king when it comes to popularity in the streaming business. It's also compatible with most devices. The $9.99 per month plan gets you in the door while the $14.99 per month plan is their family plan (supports up to six people). They also offer discounts for college students. Google Play Music is another excellent music streaming service with Chromecast support. There is a Lite version of this app. However, it's not as good as the full version. VRV is one of the newer Chromecast apps. It's a conglomeration of anime and cartoons streaming channels. Some of them include Crunchyroll, HiDive, Rooster Teeth, RiffTrax, and Geek & Sundry. The app was quite buggy at launch, but has gotten more stable over time. The Chromecast support is pretty good and we experienced no problems during testing. This is better than getting an individual subscriptions to any of these services, although you do miss out on some special rewards for things like Rooster Teeth First or Crunchyroll. This is an outstanding video service, especially for anime fans. You can pick up Funimation (also with Chromecast support) and have enough anime to keep you busy for years. The YouTube family is arguably the best video and music streaming combination on the Internet. They also all make for great Chromecast apps. 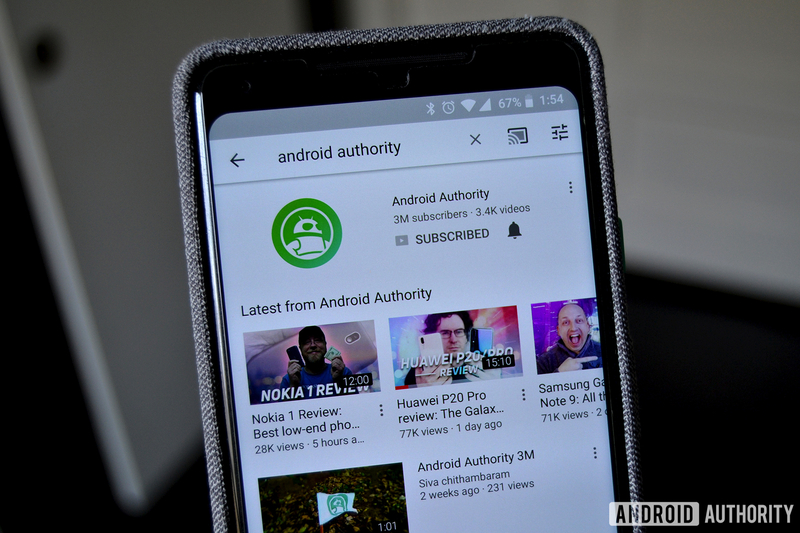 YouTube has enough content for multiple lifetimes and YouTube Music is a music streaming extension of that. Google Play Music is kind of in the background these days, but its Chromecast support is still there and it still works well. Between these three apps, you should be able to find any song you could possibly want to listen to and find some fun and entertaining video content to go along with it. You can use YouTube for free. The $12.99 per month subscription removes ads, unlocks all of Google Play Music's features, and gives you better YouTube music support. Live TV apps are huge right now. The main competitors include Sling TV, YouTube TV, Hulu, PlayStation Vue, and DirecTV Now. We talked about Hulu earlier because it has a binge watch service like Netflix. However, the other four all have Chromecast support as well. There are a variety of options. Sling TV offers an a la carte style while YouTube TV has a set number of channels for a single price. We have a video comparing all five of them just below if you want to see the differences. Their costs vary and their quality varies. However, they all work with your Chromecast. Thank you for reading! Here are a few final app lists to check out! If we missed any of the best Chromecast apps for Android, tell us about them in the comments! You can also click here to check out our best Android app and game lists! Best Media streaming devices – what your options?